Though the frozen Potomac and other icy local waterways make for a serene sight, those conditions are hazardous if there's an emergency. Here's how a D.C. fire crew breaks the ice. 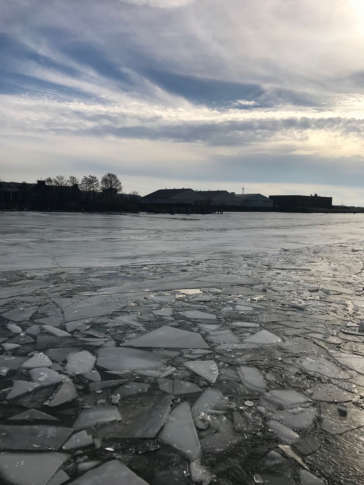 WASHINGTON — While it makes for a serene sight, the frozen Potomac and Anacostia rivers, and other local waterways, can be hazardous if there’s an emergency. So it’s up to D.C. Fire Platoon 3 to clear the water of ice, so they can access any boaters in distress, any national security concerns or alarms at Reagan National Airport. It was a bit of a rocky ride as the bow of the John Glenn traveled through several inches of ice on the Potomac. He said they had to break the ice multiple times a day this week, which was necessary to clear a path in case water rescue was needed.